As you ease into 2019, be inspired by WWF’s tips to help connect you with nature, commit to new sustainable habits and make this year the greenest yet! You have a choice: make it green! What you choose to put on your plate and in your glass has an impact on the environment. In the hustle of the holiday season, make choices that are best for nature – and for you. For your convenience, WWF has two mobile apps that take the guesswork out of making sustainable choices. The WWF Southern African Sustainable Seafood Initiative (SASSI) app, with its “green, orange, red” traffic light system, helps you pick seafood that is sustainably sourced (wwf.org.za/sassi-app). And the Conservation and Wine app (wwf.org.za/wineapp) showcases WWF’s Conservation Champions – wine farms that are environmental leaders in the wine industry for their commitment to conservation and responsible production practices. 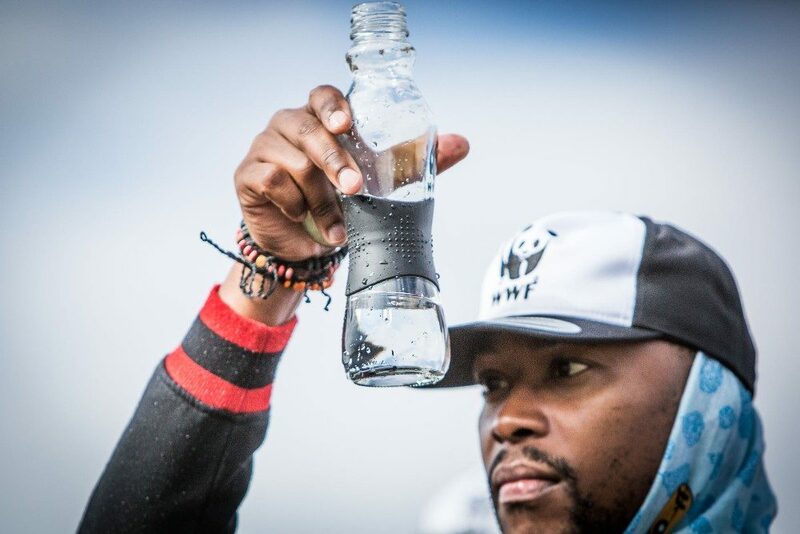 In South Africa, water shortages are a constant possibility, and it seems that just as one part of the country comes out of a drought cycle another faces a looming drought. Kick off 2019 by doing your own water audit: check your municipal bill to find out what your monthly water usage is, take a reading of your water meter, then monitor and keep track going forward. You’ll quickly discover whether you have any undetected leaks, and which appliances in your home guzzle the most water. Now you can set goals to become more water efficient. For more water-saving tips visit journeyofwater.co.za/savewater. Single-use plastics are widely acknowledged to be bad for the environment. This includes items that we use for just a few minutes before throwing them away, such as plastic cutlery, coffee-cup lids, sucker sticks and straws. Change your plastic habits this year by rethinking, reducing, reusing and recycling plastic. Before taking a plastic item, consider whether you really need it. When buying takeaways, set the example by taking along your own reusable cutlery, straw, coffee mug, water bottle and container. When it comes to grocery shopping, never leave home without reusable bags, and refuse the plastic bag the cashier offers you. If you haven’t yet, sign up for a recycling service and learn which items are recyclable. Share your #Green2019 resolutions and your passion for nature with the WWF team on social media @wwfsouthafrica, or visit wwf.org.za. Every action for the planet counts! A great way to support the wonderful work of WWF South Africa is to donate your SAA Voyager miles. 1. Log into your Voyager account at flysaa.com. 2. Choose Voyager Shopping, and select Donate Miles. 3. Under Target Account, select WWF and make your donation. This is a giving strategy that enables you, as a Voyager member, to greatly assist WWF South Africa in working towards its conservation goals, freeing up valuable organisational resources to be ploughed directly into environmental work.